I went Easter egg hunting at the Prado Museum during my flying visit last month. Artist Miguel Angel Blanco has placed objects from Spanish scientific collections alongside major artworks. The project, Natural Histories, recalls the intentions of King Charles III, who originally installed the Royal Natural History Cabinet in the building the Prado now inhabits. I first noticed the intervention when admiring Diego Velázquez’s Las Meninas, where Blanco has installed a tiny white sparrow sitting against the top corner of its frame. This sighting set me off, hunting installations through the galleries I now know so well, trying to predict where the artist would want to converse with works. 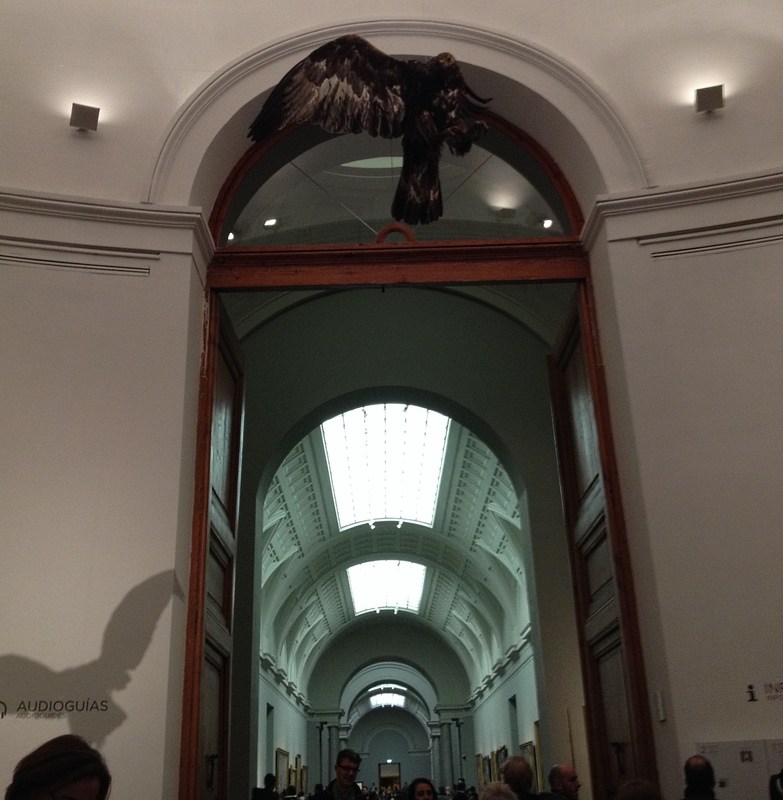 The eagle in the main entrance spoke to the Prado as a whole and its visitors, as if it had just spectacularly swooped down the main corridor above the heads of Sunday crowds. Sounds very cool. I love this picture!